I was born in Toronto, Canada, and lived there for half of my life. 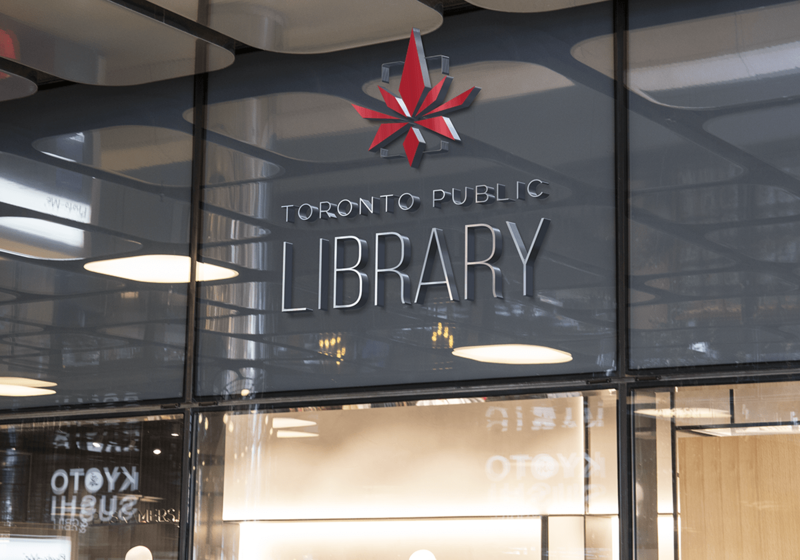 The Toronto Public Library (TPL) is a behemoth of public libraries. With 100 branches and circulation of 32 million items per year, it is considered one of the world’s busiest urban library systems on a per capita basis1. 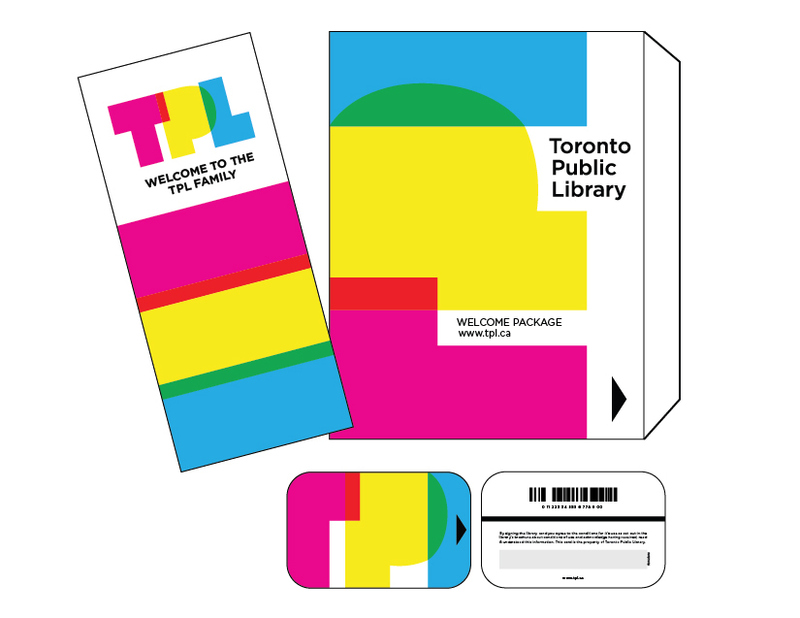 All of that preamble is to set up my thesis, which I state out of love: TPL is using an old, uninspiring logo, and if they aren’t considering replacing it, they should. The logo, now two decades old, features the library name in blue, bold capitals with two arches stretching over the word “library”. The arches probably are drawing from visual elements present in downtown Toronto, like City Hall and the adjacent Nathan Phillips Square (or maybe even the iconic SkyDome, now (sigh) the Rogers Centre). Given that the logo came with the amalgamation of multiple boroughs into one mega-library system, those arches are also probably supposed to represent connections across the city. The overall effect, though, is uninviting and does not readily reflect what the library stands for or wants to achieve. In sum, the right justification of blocky text, the singular colour palette, and dated swooshes are due for an update. 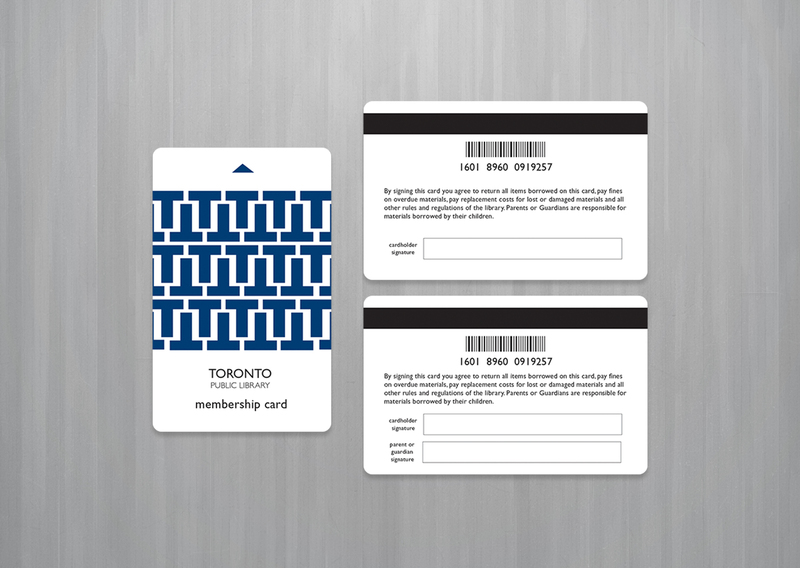 Luckily for TPL, the last twenty years have provided time for lots of up-and-coming designers eager to test their skills on redesigning this visual identity. 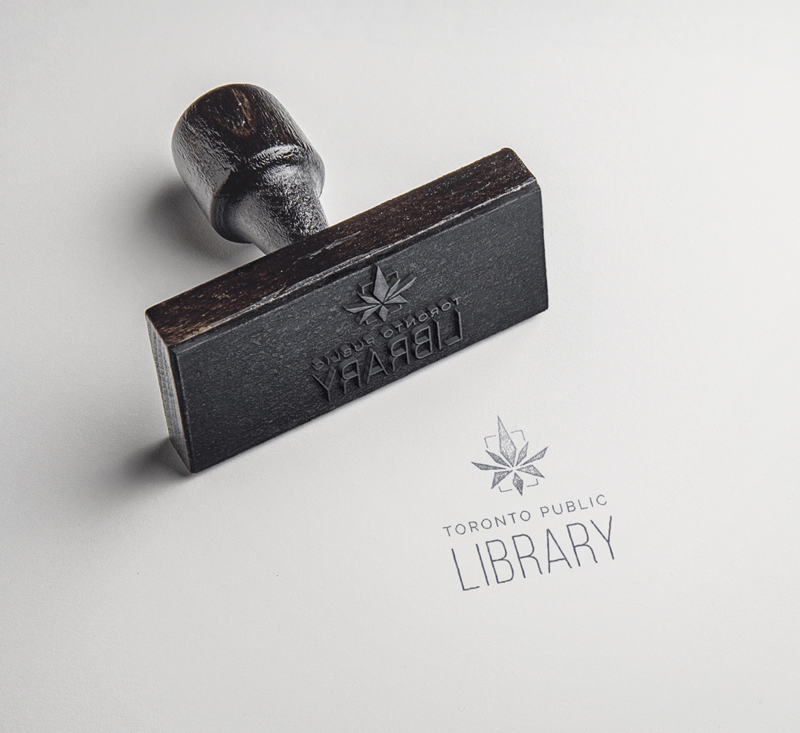 A few of these were produced for the York University / Sheridan College course, “Corporate Identity Design” YSDN 4007, and others are unidentified. Certainly the most iconic design here, the logo is a simple T in a blue a shade darker than the current logo. The type gets a nicer font treatment, but still in all-caps. A good choice for a library that doesn’t want to stray far from the path. “The design objective was to construct a corporate identity that aligned with the organisation’s values and evolving role in the community. 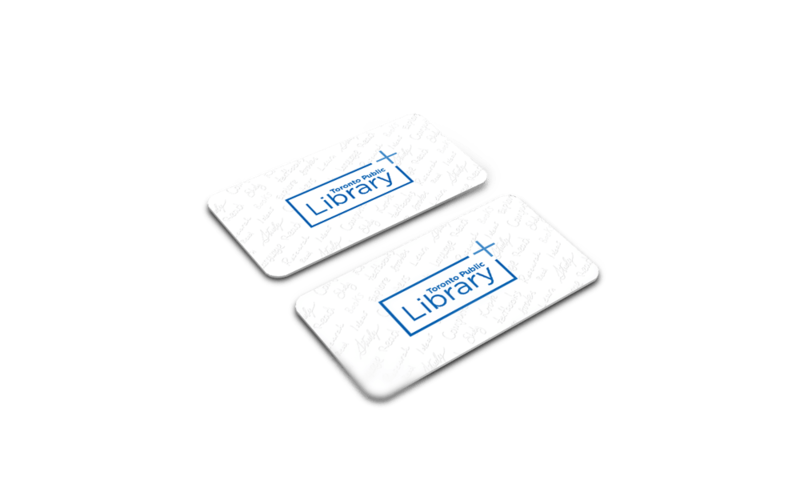 Additionally, the identity would appeal to the most frequent users of the library, which are youth ages 10-19 and adults 20-34 years of age. 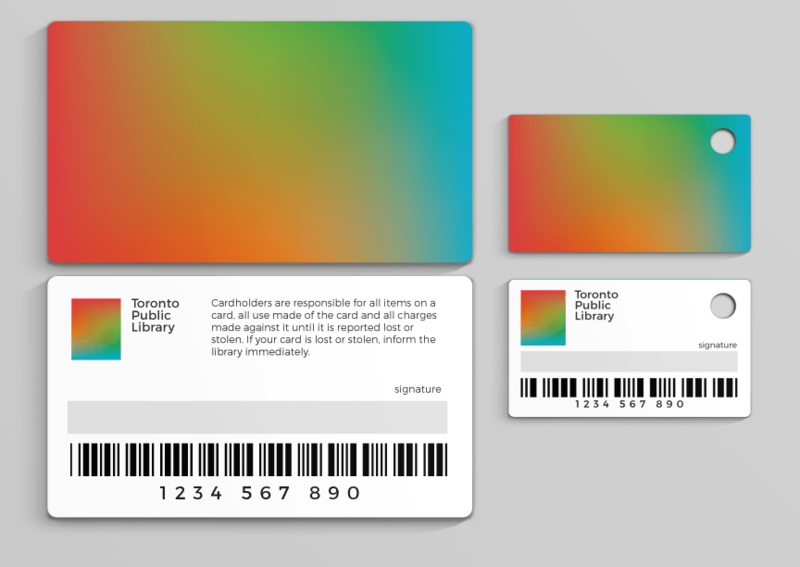 A design much more in step with current library visual identity implementations. Colourful and extensible. Iconic in a different way, this visual identity would not be out of place on an art gallery or museum. 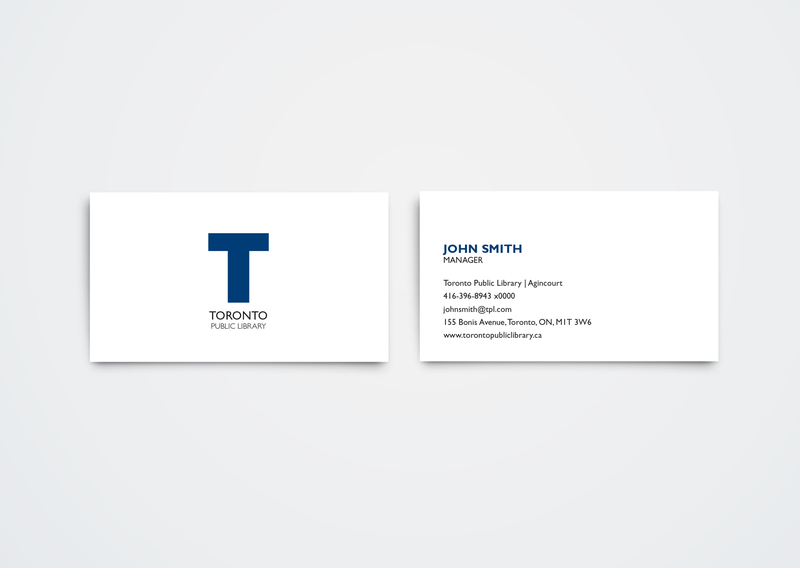 I like the use of “TO” in the logo – a common shorthand for Toronto. 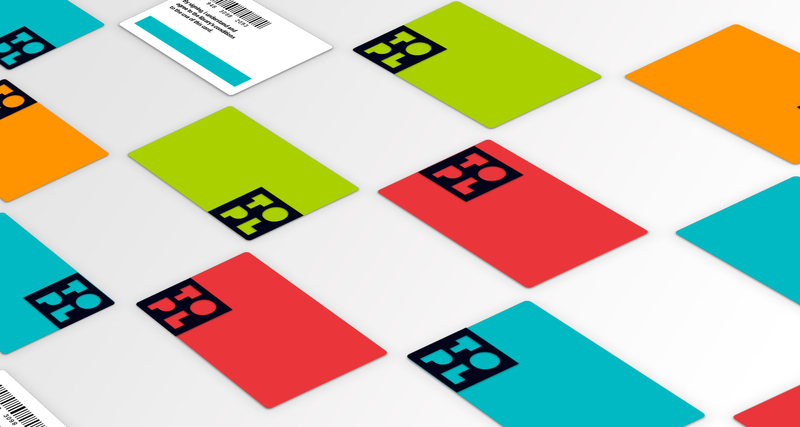 Bright, Ad/Lib-esque colours feel light-years away from the current visual identity. Bold and exciting. This treatment only exists in motion form, but it seems to blend some of the other ideas we’ve seen here. If you are the original artist and would prefer not to see your design here, please contact the author. 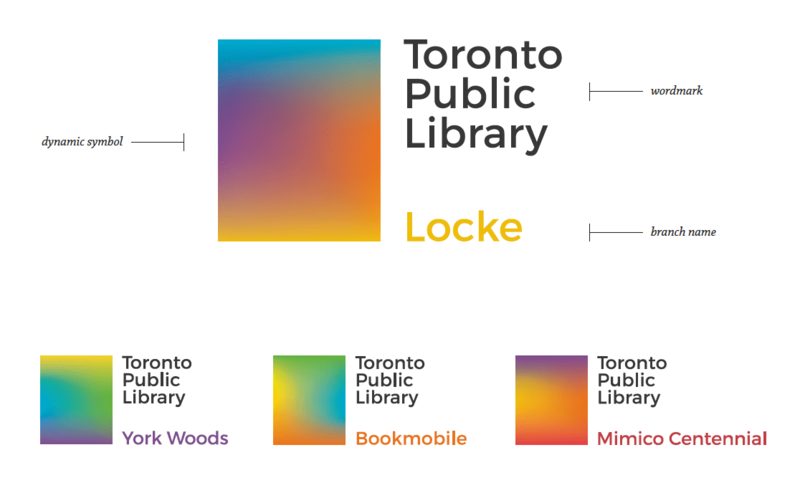 The above designs should in no way be construed as having anything to do with Toronto Public Library.